(HEAL Africa USA, March 01, 2018) – HEAL Africa USA’s strong financial health and commitment to accountability and transparency have earned it a 4-star rating from Charity Navigator, America’s largest independent charity evaluator. This is the first time that HEAL Africa USA has earned this top distinction. Since 2002, using objective analysis, Charity Navigator has awarded only the most fiscally responsible organizations a 4-star rating. In 2011, Charity Navigator added 17 metrics, focused on governance and ethical practices as well as measures of openness, to its ratings methodology. These Accountability & Transparency metrics, which account for 50 percent of a charity’s overall rating, reveal which charities operate in accordance with industry best practices and whether they are open with their donors and stakeholders. On June 1, 2016, they upgraded their methodology for rating each charity’s’ financial health with CN 2.1. These enhancements further substantiates the financial health of our four star charities. “HEAL Africa USA’s exceptional 4-star rating sets it apart from its peers and demonstrates its trustworthiness to the public,” according to Michael Thatcher, President & CEO of Charity Navigator. 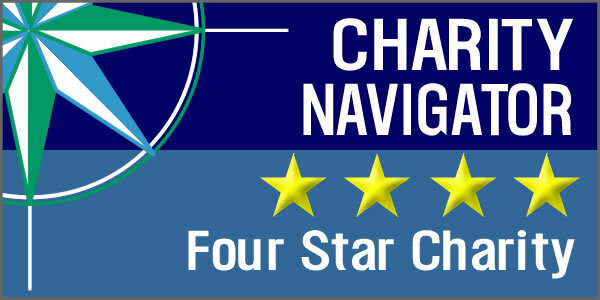 Only a quarter of charities rated by Charity Navigator receive the distinction of our 4-star rating. This adds HEAL Africa USA to a preeminent group of charities working to overcome our world’s most pressing challenges. Based on its 4-star rating, people can trust that their donations are going to a financially responsible and ethical charity when they decide to support HEAL Africa USA. HEAL Africa USA’s rating and other information about charitable giving are available free of charge on www.charitynavigator.org. More-detailed information about HEAL Africa USA’s rating is available to Charity Navigator site visitors who become registered users, another free service. Established in 2005, HEAL Africa is a Congolese-led teaching hospital based in the Democratic Republic of the Congo (DRC/DR Congo), providing comprehensive access to health care for its most vulnerable populations. HEAL Africa USA is a nonprofit organization that exists to support the HEAL Africa DRC through fundraising, communications, and capacity building.